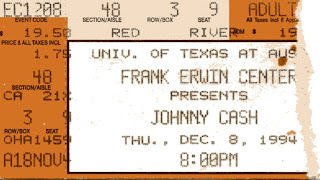 Depicted above is a ticket stub for the Johnny Cash concert held on Thursday, December 8, 1994, at the Frank Erwin Center at the University of Texas at Austin. Texas musicians Don Walser and Jimmie Dale Gilmore opened for Cash that night. Note the purchase price: $19.50. Cash is now a hero to Generation X (or whatever we're now calling that generation). 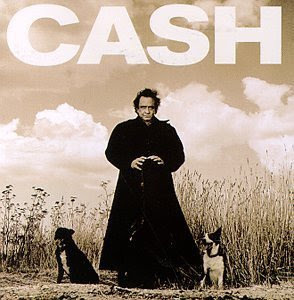 In April of 1994, Cash had released American Recordings, his first collaboration with Rick Rubin, who would serve as Cash's producer until his 2005 death. Under Rubin's stewardship, Cash would reinvent himself for the final time and later cover, among other songs, Soundgarden's "Rusty Cage" (two years later), U2's "One," (three years later), and, of course, Nine Inch Nails' "Hurt" (eight years later). But it was not just the novelty covers that cemented Cash's reputation as an icon and hero to a generation of college students born two decades after he first achieved fame. (Let me be clear: Cash's version of "Hurt" is so stark and believable that it is far beyond a mere novelty.). Rather, it was the dark honesty conveyed by Cash's coarse voice and years of hard living accompanied by an ominous sounding acoustic guitar. On March 17, 1994, Cash served as the keynote speaker at South by Southwest and played Emo's, an alternative rock club on Austin's noted Sixth Street, that night. (See here - and scroll down to the "Walking the Line" story - for a neat anecdote about the 1994 Emo's show.). Pictured above is Cash during his keynote speech to South by Southwest on March 17, 1994. Anyone who ever questioned the potency of one man and one guitar need only have been at the Erwin Center on Thursday night to lay all doubts to rest. There onstage sat a 63-year-old great-grandfather, clad entirely in black and holding an ebony acoustic guitar ("It's time for the black guitar!" he said as he traded in his blond Martin and pulled up a stool to take the stage alone). The only illumination in the house was one white spotlight, trained squarely on him; there was no place to hide. Over the course of his 31-song set at the Erwin Center, he sang his first hit, 1955's Get Rhythm, contemporary songs by Nick Lowe and Leonard Cohen, and evergreens such as Peace in the Valley and Orange Blossom Special. And he made it all of a piece, so that his set flowed seamlessly across the decades in a way that appealed to grunge fans and graybeards alike. The Tennessee Three, Cash's accompanists since the Rockies were knee-high, proved themselves a surprisingly supple ensemble, considering how many times their fingers have caressed these licks. They brought a sassy, cantering edge to Big River, I Still Miss Someone and Folsom Prison Blues. And June Carter Cash infused the show with her own thoroughbred elan and dash, in a miniset that found her crooning and growling in counterpoint to her spouse on Tim Hardin's If I Were a Carpenter, Bob Dylan's It Ain't Me Babe, and the couple's own hit, Jackson. It was a good show. In fact, I have created below an annotated set list including the banter and stage dialogue of Cash and his wife, June Carter Cash (conveniently transcribed from a bootleg of the concert and including some interesting career anecdotes and history). JOHNNY CASH: Thank you very much. I'm so glad to be back to Austin. You've already seen a - you've already seen a great show before I came on. Don Walser and Jimmie Dale Gilmore; they're wonderful. They're wonderful. I got a new album out this year that I got some requests to do songs for it. And, uh, first I'd like to do one of my favorites, theirs only me and the guitar on this album. I wanted to call the album Scary. Painfully Honest. Some of the songs I wrote, some were written for me, and some I always wanted to record, some of the old ones, like this one that I've known since I was a little boy, called "Cowboy's Prayer." CASH: Thank you, thank you very much. [Audience yells requests.]. Hey. Right. All right. Yes. All right. I'm gonna do 'em for you. Sure am. I'm gonna try and do 'em all for you. [Applause.]. Wow. We started in 1955, there weren't any drums on country music records, well maybe, and I liked the snare drum. W.S. Holland played drums with Carl Perkins when I met him in 1955. I liked the sound of his snare drum but they wouldn't let me take the drums in the studio so, uh, let me see that. So I did my own little snare drum sound. I don't know where I got this, I may have stolen it, I may have dreamed it up myself, I'm not sure. Been a lifetime ago. That's uh, on the drums W.S. Holland has been with me now 35 years. Yeah, he's -- he's the right one. But we're gonna do this song without him. On the upright bass is Mr. Dave Roe and Bob Wooten on lead guitar. Here's us in 1955. CASH: Here's a song I wrote in '59. CASH: Thank you. Here's a patriotic song. CASH: Thank you. Well, it's time for the black guitar. I'm want to thank - thank you - I want to thank Willie Nelson for letting me come to Austin. (Cheers.). Old Willie. Love Willie Nelson. Willie and Waylon and Kris and I just did a new album - a Highwaymen album - new Highwaymen album that will be out March the 9th. And we all did a solo on the album as well as doing eight songs together. And I'd like to sing one that's my contribution. My son John Carter and I wrote this, and it's called "Death and Hell," subtitled "Pigs Can See The Wind." CASH: Willie said how can you prove pigs can see the wind and I said you can't but you can't prove they can't. CASH: [Coughs.] Well, I wanted to call the album also - well the theme of it, really, is sin and redemption. And there's two dogs on the cover and one of them is black with a white stripe and one of them is white with a black stripe. Neither one of them is quite all the way kinda like me I guess. Got redemption coming; redemption is coming. Uh, but right now. CASH: Thank you. Among the writers who contributed to this album were, was, uh, was a fellow named Tom Waits. CASH: Here's my song, my Vietnam song. They had an expression that when a situation looked hopeless, couldn't walk through it, no way to get through it, but you had to go through it, the only attitude to take was drive on, don't mean nothing. CASH: Thank you. Thank you . Thank you very much. Got a special guest for just - right after this song. CASH: Yes, alright. I love you! Thank you. I love you people. I love you people! Here's my favorite entertainer, here's June Carter Cash. JUNE CARTER CASH: Thank you very much. JUNE CARTER CASH: Okay, okay, thank you very much. I - I enjoy doing those two songs with John, uh, they're the easiest ones to sing because they're the only two that I ever won a Grammy for. And I still enjoy doing those with him, and the first song I ever recorded with him was written for us by a friend of ours, and this was way back a long time ago, Bob Dylan wrote this song, we first recorded it and we'll just do it again for you. Maybe you'll remember the song whether you remember us singing it or not. JUNE CARTER CASH: Okay, thank you. I'm not too sure how well we know this one, but we love this song. CASH: Oh, I love it. 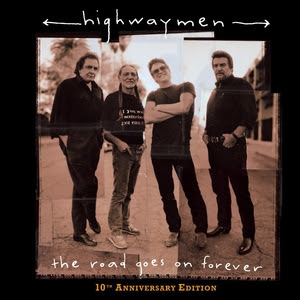 Billy Joe Shaver song, new Highwaymen, for the new Highwaymen album. JUNE CARTER CASH: Well, just press on. CASH: I'm going to live forever. JUNE CARTER CASH: This is Rosie Carter, ladies and gentlemen! She's right here, Rose, if you will! Okay! I want to ask you to sing this song with us if you know it. It's that kind of a song. Mother Maybelle would be glad if you remembered it. Rosie, will you give me a hand? You too, John. (You can find the set list and other information about this gig here, here, and here.). Commentary: Cash played a surprising number of tunes from American Recordings that night (although he chose not to play Loudon Wainright's "The Man Who Couldn't Cry" or Glenn Danzig's "Thirteen"). Cash and his wife appeared to enjoy themselves. June Carter Cash couldn't seem to contain her giggles as she sang her way through "If Were A Carpenter." Cash himself would give his last full concert in Flint, Michigan, in October of 1997. He and his wife passed away in 2003. Rosie, June Carter's daughter (a/k/a Rosie Nix Adams) who toured with Cash, would die of carbon monoxide poisoning in an apparent accident involving lanterns on a bus in October of 2003 (just a month after Cash's death and five months after her mother's death). Rosie Carter is not to be confused, though, with Roseanne Cash, Cash's daughter with Vivian Liberto and a musician in her own right. 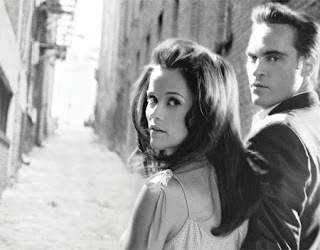 Recently, I re-watched Walk The Line, the 2005 biopic of Johnny Cash featuring Joaquin Phoenix as Cash and Reese Witherspoon as his love interest and future wife, June Carter. Phoenix at times seemed to eerily channel Cash, but at others, merely engage in an awkward impression. Witherspoon, as Carter, was a joy to watch and made it easy to overcome any dislike for actresses known for their prickly personalities and sugary sweet vapid film roles. 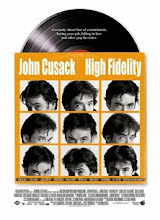 Troubling, though, was the film's attempt to justify Cash's affair with June and his accompanying neglect of his then-wife Liberto (played in the film by Ginnifer Goodwin, now of HBO's "Big Love"). Modern viewers know that Cash ends up with June Carter, so the director apparently found it acceptable to portray Liberto as a hysterical stereotype - collateral damage of the truer love of Cash and June Carter. A film with more depth would have probed Liberto's anguish and rejection in more detail rather than giving Goodwin a few token scenes to act the jilted spouse. Unfortunately, director James Mangold offered nothing unusual with the film. The script, written by Gil Dennis and Mangold, offered the traditional musician biopic formula with the tired ups and downs found on any episode of VH1's "Behind the Music." Certainly, a film depicting the life of someone bold and innovative should be equally bold and innovative. Alas, there was nothing as daring in the film as there was in Cash's own creative work. Comparisons to the previous year's equally formulaic Ray Charles biopic, Ray, were inevitable. Both films featured musicians who initially subscribe to musical conventions but find that by remaining true to their own instincts and talents, find that they are trailblazers. Both films feature protagonists who were traumatized in their youths by the deaths of their brothers. Both films depict artists who turn to womanizing and drugs to cope with the perils and rigors of the road and success. Both films illustrate that a rigid adherence to formula in biopic film-making does not adequately depict those who made a name for themselves refusing to rigidly adhere to formula. We've seen it all before, and although such tales might and could be compelling when reduced to a two hour cinematic experience, the directors of Walk the Line and Ray chose to present viewers with a typical portrayal of the tortured genius musician. 1. Limit yourself to a two to five year period in the subject's life. The viewer is bringing with him or her a working knowledge of the subject's life; we don't need to explore every nook and cranny of a career that spans decade. Rather, it would be far more intriguing to see a shorter dramatic episode in the subject's life rather than spread the narrative to thin by exploring too long a period of time. For example, would it not have been more interesting to see a week in the life of Johnny Cash than a two decade period? How about the weak that June Carter takes care of him as he fights the symptoms of withdrawal? How about the week where he finally wears down June's emotional defenses and the two succumb to desire for the first time in that hotel room? Having the narrative cover more than a few years forces the film-maker to cut corners and skimp on true drama. 2. Resist the temptation to depict the traumatic childhood of the subject. Forcing the adult actor portray the subject's attempts to cope with his childhood is far more dramatic and, for that matter, serves narrative economy by cutting scenes with child actors, who usually offer rather weak portrayals of childhood trauma, anyway. 3. Do not feel compelled restage every famous or iconic moment in the subject's life. Just because there exists an image from a moment of the subject's life that lived in the public imagination before your biopic, that is not a reason to reenact it. In fact, that is a reason not to reenact it. Your recreation of that moment everyone knows and recognizes will inevitably pale in comparison to the original. That's not drama; it's karaoke. But no biopic can really do justice to a performer. I myself was fortunate enough to see Cash in concert on one other occasion, almost exactly a year later at a private party in Houston, Texas on December 10, 1995. He was scheduled to play in Austin (again at the Erwin Center) on December 4, 1996 (and I had already purchased my tickets) but he canceled because of an illness, specifically, the flu.3 Plans to reschedule the show the following spring during South by Southwest 1997 did not materialize. I do not believe he played in Austin again. 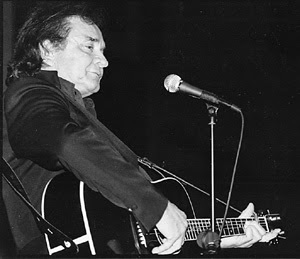 Above: Johnny Cash, performing "Delia's Gone," live in 1994 at Manhattan Center. Above: Johnny Cash's video for "Rusty Cage," from his 1996 album, Unchained. Above: Johnny Cash's video for "Hurt," from his 2002 album, American IV: The Man Comes Around. It is fascinating that Trent Reznor essentially conceded that the song is no longer his and that Cash became its new author. Above: Johny Cash performs "I Walk The Line" from 1959 (at least according to this YouTube entry's description). 1. John T. Davis, "One man, one guitar is enough," Austin American Statesman, December 10, 1994. 3. Michael Corcoran and Chris Riemenschneider, "Street Soundz," Austin American Statesman, December 12, 1996. "Walk the Line" came out and my mom asked if I remembered the night that we, along with half the audience had dressed in black to see Johnny Cash. Then a few weeks ago, I found the dvd that I had purchased and forgotten all about. It's amazing that I saw him almost two years before my daughter was born and now she is interested in his music. I took my mom because I knew she loved him. I enjoyed the show, but it is now that I really appreciate what I was able to see that night! Rad. I've been looking for this... Thank you for being a nerd. Seriously. I mean that truly.